Odell Beckham dodged one bullet Monday night in Cleveland but could still miss Week 1 versus the Cowboys. The football world held its collective breath Monday night when star wide receiver Odell Beckham Jr. was hit right around the knee area by Cleveland defensive back Briean Boddy-Calhoun. Beckham came down with one foot planted in the ground and took a helmet directly to the lower leg. Fans and the Giants feared the worst. Late Monday night seemed to calm the most worrisome of those fears. Beckham and the team said it was just a sprained ankle and everyone played it off. Frankly, the video and the aftermath of Beckham hobbling around looked much worse. However, early Wednesday morning brought some discouraging reports. Per ESPN’s Dan Graziano, Beckham’s ankle injury could be slightly more serious than most thought. Despite jogging into the locker room and expressing optimism after the game, Beckham felt “very sore” on Tuesday, according to another source. He’s likely to miss the Giants’ final two preseason games. This would be a huge blow to the Giants offense, to say the least. They haven’t gotten much out of running backs Paul Perkins, Orleans Darkwa or Shane Vereen to this point. Wide receiver Brandon Marshall suffered a shoulder injury of his own Monday, and receiver Sterling Shepard has fought through his own ankle sprain earlier in training camp. Quarterback Eli Manning needs Beckham fully healthy for the Giants to get back to the postseason and build on their 11-5 record in 2016. 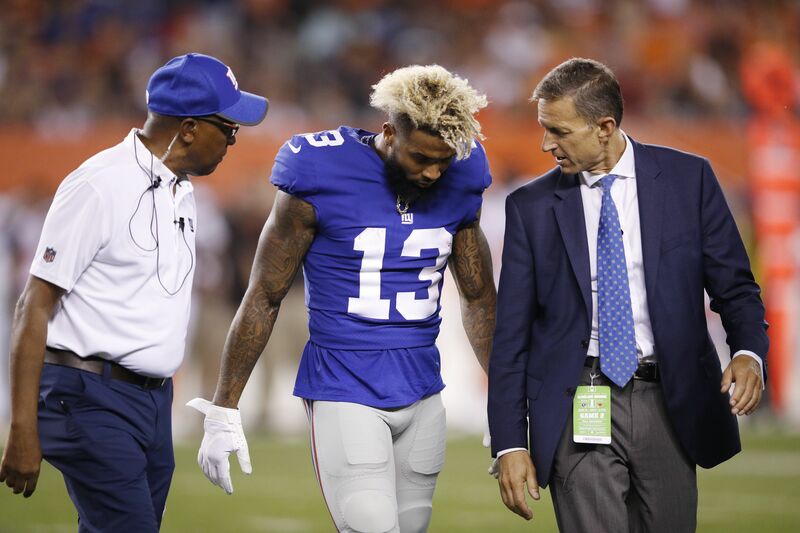 While missing one game certainly isn’t the end of the world, fans and the Giants have to wonder how long Beckham could be sidelined. It’s never a good start to the season with an injury, especially an ankle for a receiver.